​'It was a wonderful campaign, an admirable campaign - incredibly well organised and very enjoyable', says artist and writer Lynn MacRitchie. 'You met a fantastic range of people - people who believe in something'. A long-running campaign too - and that rare beast, one that the campaigners won. 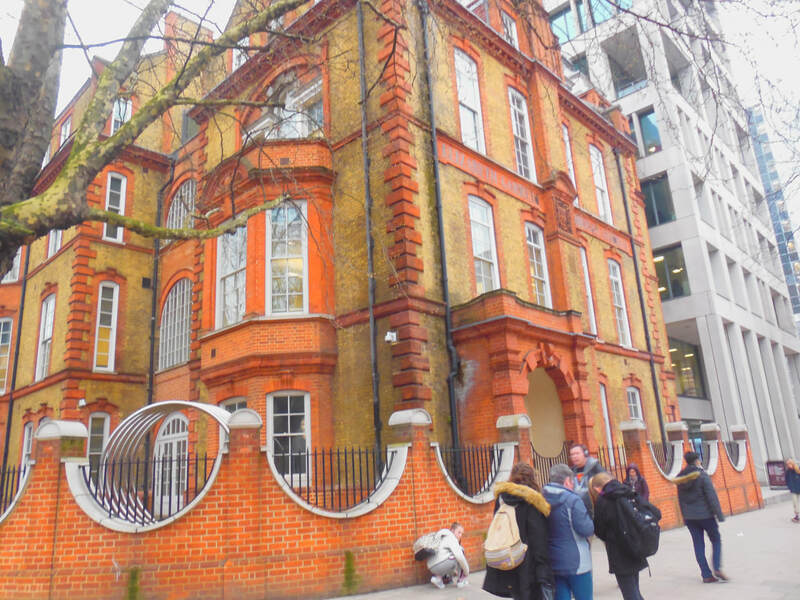 MacRitchie is looking back forty years to the struggle to save the Elizabeth Garrett Anderson hospital, one of only a handful that were for women, by women - so all those seeking treatment there knew they would be seeing a woman doctor or consultant. After five years of uncertainty and three years of vigorous campaigning, the EGA was given a reprieve and stayed on Euston Road - not forever, but for another twenty years or so. For a year or two, MacRitchie spent just about every Monday evening at the EGA. The doctors, nurses and support staff staged a 'work-in' and occupied the hospital. Campaigners mustered round-the-clock, a permanent picket to ensure that there was no out-of-hours attempt by the health authority to wind-down facilities. Lynn MacRitchie's regular slot on the picket rota was Mondays starting at 6pm. She would come early and eat in the hospital canteen, and then spend the evening with the same two fellow campaigners - one a dockers' shop steward and the other a radical feminist. The 'Save the EGA' campaign brought together doctors and shop stewards, anti-cuts campaigners and women's groups, the old left and the new left. It cut across the usual political fault lines: a Labour government sanctioned the hospital's closure and a Conservative government saved it. Elizabeth Garrett Anderson had become, in 1865, the first woman to qualify in Britain to practise medicine (James Barry, assigned the female gender at birth but living as a man, had qualified decades earlier but that hardly diminishes Garrett Anderson's pioneering status). Eight years later, she became the only woman member of the British Medical Association, which promptly changed its rules to bar any other women from joining. 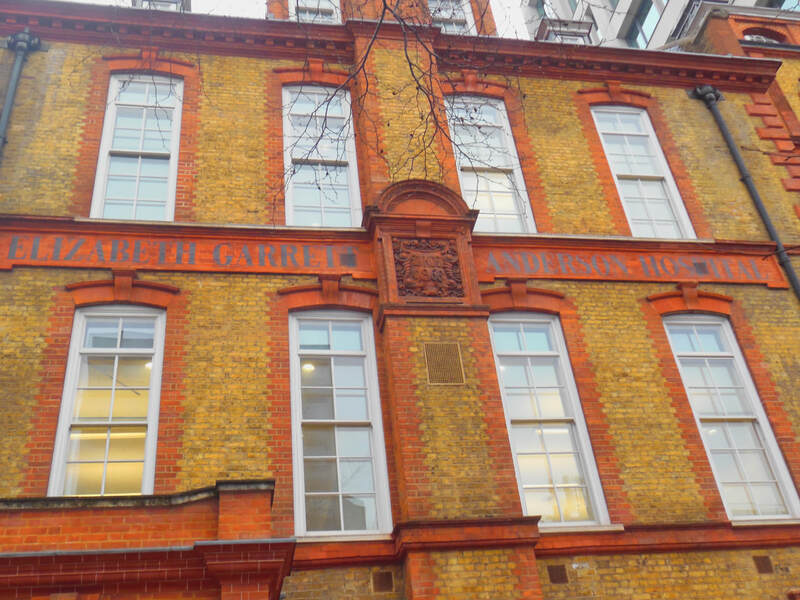 The dispensary at which she worked became the New Hospital for Women, which in 1890 moved to purpose-built premises on Euston Road. Elizabeth Garrett Anderson died in 1917 and the following year the women's hospital was renamed as a tribute to her. In the 1970s, it had more than a hundred beds, operating theatres and a range of activities which extended well beyond gynaecology and obstetrics. But as far as the local bureaucracy of the NHS was concerned, it didn't quite fit - a small, stand-alone institution many of whose patients came from beyond the local catchment area. The increasing Bangladeshi presence in the locality brought with it more demand for women patients to see women doctors, but that wasn't factored in to the decision making. The first sign of impending crisis came when the General Nursing Council decided in 1974 not to send any more trainee nurses to the hospital. That was a body-blow for any teaching hospital. Barbara Castle - ironically the cabinet minister behind the Equal Pay Act - visited the EGA and announced a few months later that it couldn't survive on its Euston Road site. Staff became convinced that the health authority was running down the hospital. The lifts broke down and were declared too expensive to make good, which meant that the operating theatres could no longer be used. The EGA campaign must have been just about unique in highlighting the demand: 'Repair the Lift'. The hospital staff set up an action committee, an at times uncomfortable alliance between doctors and consultants on the one hand and on the other staff organised by the left-leaning National Union of Public Employees (NUPE). In November 1976, they decided to occupy the hospital. 'Pickets "guard" the door all day to ensure that there is no sudden attempt to move patients or equipment to another hospital', the Daily Telegraph reported. 'They are understandably wary of the authorities, who closed down the hospital's maternity home in Belsize Park at an hour's notice.' Staff were working 'in almost impossible conditions' but daily clinics were continuing 'and patients are cared for before and after their operation in other hospitals in the three first-floor wards'. Lynn MacRitchie lived nearby in a squat on Northington Street and then at Huntley Street but had never been referred to the EGA nor knew of it. 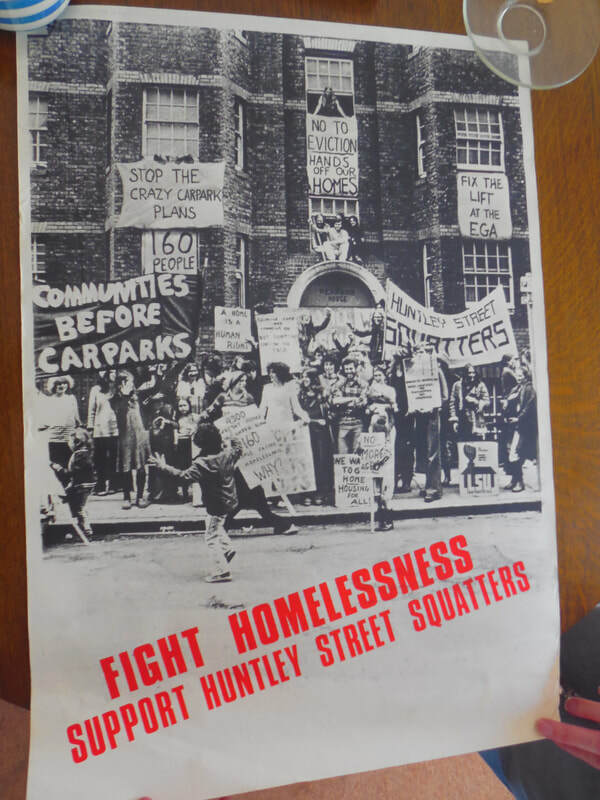 She worked as a domestic assistant at the Royal Free Hospital in Hampstead where she was a NUPE shop steward, but she spent as much time as she could with the Poster Collective based at another local squat in Tolmers Square. 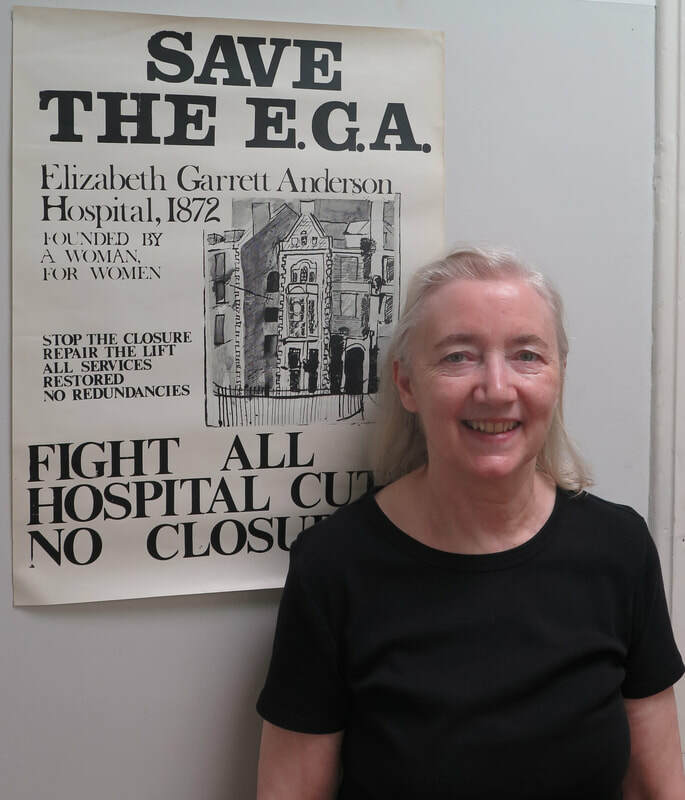 Through her involvement in the women's movement, in housing campaigns, as a trade unionist and as an activist artist, she was drawn to the EGA campaign, designing some of the posters and lapel stickers which were so effective in getting the message out: 'EGA Stays OK!'. She says she learnt a lot. 'We had to combat that feeling that: oh well, it's all lost. It was an uphill struggle. 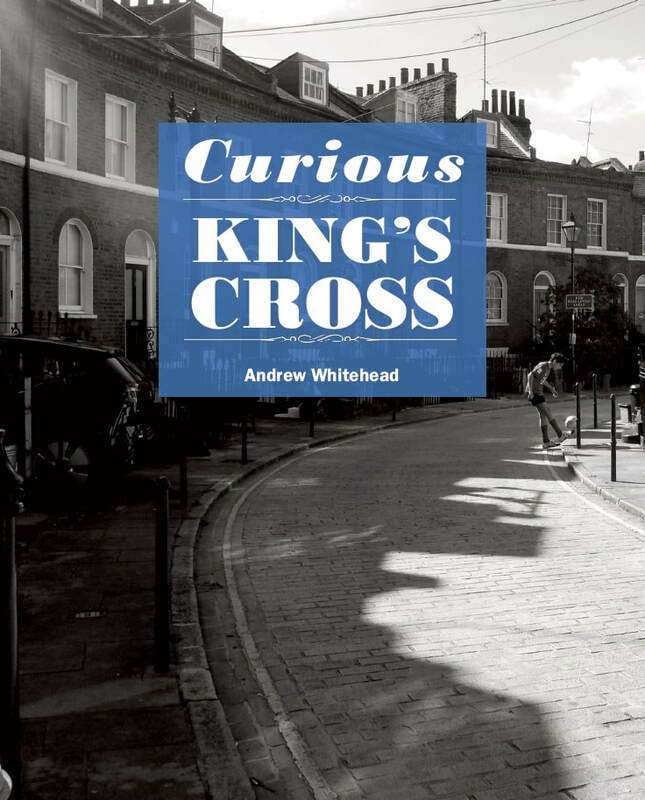 We'd go to meetings with the health authority which were 95% depressing and 5% positive and we'd immediately go to the Camden Journal and tell them about the positive bit.' And the EGA campaign linked in with other attempts to save hospitals from closure - activists recall visits to Hounslow and Plaistow, so tjhat the strength of oen campaign could revitalise others. ​The EGA kept going until 2000. Its name survives in a wing of nearby University College Hospital. The Euston Road building, which once faced demolition, is still standing - and in one of those wonderful quirks of history, it's now the national HQ of the trade union UNISON, a direct successor of NUPE. And of course, what the 'Save the EGA' campaign wanted was a hospital for women not a memorial to it.